High School "This Week In Sports"
Tues., Apr. 9 Golf Sage Hill Talega GC, 990 Avenida Talega, SC 4:00 2:20 Carpool 5 S exit Avenida Vista Hermosa turn left. Course will be 2.8 miles down on the right. Tues., Apr. 9 Baseball Avalon Sports Park, 3 Via Positiva, SJC 1:00 11:30 11:40 Carpool Right on Camino Cap, Right onto Del Obispo. Left on Alipaz and right onto Via Positiva. Field on the left. Wed., Apr. 10 Softball Connelly Cooks Park/ La Novia Fields 3:15 1:30 1:45 Carpool 5 S exit Ortega turn left. Turn right on Rancho Viejo Rd and left on Calle Arroyo. Field is on the corner of La Novia and Calle Arroyo. Thur., Apr. 11 Softball CC Downey Cooks Park/ La Novia Fields 3:15 1:30 1:45 Carpool 5 S exit Ortega turn left. Turn right on Rancho Viejo Rd and left on Calle Arroyo. Field is on the corner of La Novia and Calle Arroyo. Friday, Apr. 12 V Volleyball St. Margaret's St. Margaret's 4:00 12:00 Carpool 5 S exit Ortega turn left. Turn right on Rancho Viejo Rd and left on Calle Arroyo. Gym is on the left. There is no school Friday, April 19th or Monday, April 22nd. Tues, Apr 16 Baseball CC Downey Veterans Memorial Park, 6364 Zindell Ave, Commerce 5:00 2:20 Vans 5 N exit Montebello/Slauson turn right onto Telegraph and slight right onto Slauson. Turn left onto Gage, left onto Zindell. This will end at field. Tues, Apr 16 Swim San Joaquin League Prelims Sage Hill HS, 20402 Newport Coast Dr, Newport Coast TBA 12:50 1:00 Van 5 N, 73 N exit Newport Coast turn left. Make a U-turn and school is on the right. 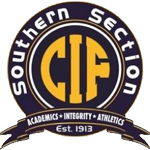 Wed, Apr 17 Softball Southlands Christian Cooks Park/La Novia 3:15 1:30 1:45 Carpool 5 S exit Ortega turn left. Turn right on Rancho Viejo Rd and left on Calle Arroyo. Field is on the corner of La Novia and Calle Arroyo. Thur, Apr 18 Baseball CC Downey Sports Park, 3 Via Positiva, SJC 6:00 2:20 Carpool Right on Camio Cap, right on Del Obispo, left on Ali Paz, right on Via Positiva. Field is on the left. Thur, Apr 18 Swim San Joaquin League Finals Sage Hill HS, 20402 Newport Coast Dr, Newport Coast TBA 12:50 1:00 Vans 5 N, 73 N exit Newport Coast turn left. Make a U-turn and school is on the right. Tues., Apr. 23 Varsity Volleyball Sage Hill 20402 Newport Coast Dr., Newport Coast 4:00 2:20 Carpool 5 N, 73 N exit Newport Coast turn left. Make a U-turn and school is on the right. Wed., Apr. 24 Baseball Webb Sports Park, 3 Via Positiva, SJC 3:00 1:30 1:40 Carpool Right on Camino Cap, Right onto Del Obispo. Left on Alipaz and right onto Via Positiva. Field on the left. Fri., Apr. 26 Baseball Webb 1175 W Baseline Rd, Claremont 3:00 12:00 Vans 5 N, 57 N, 210 E exit Towne Ave turn left. Turn left onto W Baseline Rd. School is on the right. ©2019 SVC Athletics / SportsEngine. All Rights Reserved.